IN THE LIGHT of the obvious turmoil and discontent within the Armed Forces of the Philippines, many questions and concerns have been circulating. One very important issue is: Would military rebels merely serve as an instrument to get rid of a corrupt, illegitimate regime, or would they be capable of doing something more, that is, lead or be part of a coalition for progressive social transformation? To get a grip on this question, it might be useful to look at the prime example of military radicalism today, the Venezuelan Army, and try to make some comparisons between its experience and that of the Philippine military. Venezuela is undergoing, if not a revolution, a process of radical change, and the military is right in the center of it. How could this been happening, many skeptics ask, when the military, especially in Latin America, is usually an agent of the status quo? Others, less skeptical, ask: Is Venezuela the exception, or is it the wave of the future? Many explanations have been advanced for the behavior of Venezuela’s military. Probably also critical, says Gott, was that for some reason Venezuela appears to have sent far fewer officers than many other Latin American countries to the US Army-run School of the Americas in Fort Benning, Georgia, which is the main conduit of counterinsurgency training to the western hemisphere’s military forces. Now, these conditions may have contributed to making the Venezuelan Army less reactionary than others in Latin America, but they do not explain why it would be one of the spearheads of what is today the most radical social transformation taking place in the hemisphere. Gott, Lander, and other Venezuela specialists concur in one thing: the absolutely central role of Hugo Chavez. Chavez is many things: a charismatic figure, a great orator, a man who plays local, regional, and global politics with skill and verve. He is also a man of the army, one who reveres the military as the institution that, under Simon Bolivar, liberated Venezuela and much of Latin America from Spain, and who has acted on the belief that it is destined to play a decisive role in Venezuela’s social transformation. Chavez, according to his own account, joined the military because it would be a springboard for him to play professional baseball. But whatever his initial motivations, he came into the army at a time of great institutional flux. The army in the 1970’s was engaged in counter-guerrilla operations at the same time that its officers were being exposed to progressive ideas through the Andres Bello program at the university and many were being recruited by leftist groups into clandestine discussion groups. Instead of becoming a baseball star, Chavez became a popular lecturer in history at Venezuela’s War College, while moving up the chain of command. When not performing his official duties, he was engaged in building a clandestine grouping of young, like-minded, idealistic officers called the “Bolivarian Revolutionary Movement.” Disillusioned with what they perceived to be a dysfunctional democratic system dominated by corrupt parties -- Accion Democratica and Copei -- that alternated in power, these Young Turks evolved from a study circle to a conspiracy that hatched ideas for a coup that would, in their view, inaugurate a period of national renewal. As Richard Gott writes in his authoritative book "Hugo Chavez and the Bolivarian Revolution," Chavez’s preparations were overtaken by the “Caracazo” of 1989, a social cataclysm triggered by a sharp rise in transportation prices owing to pressure from the International Monetary Fund. For about three days, thousands of urban poor from the ranchos or shantytowns on the mountainsides surrounding Caracas, descended on the city center and affluent neighborhoods to loot and riot in what was ill-disguised class warfare. The Caracazo seared itself in the minds of many young officers. Not only did it reveal to them how the vast majority of the population had become thoroughly disenchanted with the liberal democratic system. It also made many bitter that they were placed in the position of having to give orders to shoot hundreds of poor people to defend that system. Chavez was imprisoned, and almost immediately after his release, began campaigning for the presidency. What he could not get by a coup, he was now determined to pursue by constitutional means. No longer in the military, he nevertheless kept in close touch with his fellow officers and with enlisted men, among whom he was tremendously popular. When he finally won the presidency by a large margin in 1998, it was not surprising that he recruited brother officers to head up or staff key government agencies. More important, Chavez gradually brought in the military to serve as a key institutional instrument for the change he was unleashing in the country. The massive disaster brought about by torrential rains in 1999 provided an opportunity for Chavez to deploy the military in its new role, with the army units mobilized to set up and man soup kitchens and build housing for thousands of refugees on army land. Then military civic action and engineering units were deployed to the new government’s program to set up “sustainable agro-industrial settlements” in different parts of the country. Military hospitals were also made available for the poor. The involvement of the military in a program of radical change was not, however, regarded positively in all quarters of the army. Indeed, many generals resented the populist ex-colonel and, when the process accelerated, as Chavez moved to implement land reform and take direct control of the oil industry, these elements began to conspire with the newspaper owners, the elite, and the middle class to oust him by force. After a series of violent confrontations between the opposition and Chavistas in the streets of Caracas, a coup put into motion by a number of high ranking generals, including the head of the armed forces, the chief of the staff of the armed forces, and the commander of the army, succeeded in toppling Chavez on April 11, 2002. However, most of the officers with field commands and most junior officers either stayed loyal to Chavez or remained neutral, and when thousands of urban poor descended on Caracas to demand Chavez’ release, the loyalists launched a counter-coup, arrested the conspirators, and restored Chavez to power. The coup attempt was a blessing in at least one way: it gave Chavez the opportunity to complete the transformation of the military. About 100 top generals and officers were cashiered for treason, with the key posts in the high command going to people loyal to Chavez and the Bolivarian Revolution. The purge probably deprived the US, which had supported the coup, of its key supporters within the Venezuelan military. Chavez’s project, which he has now defined as a movement toward “socialism,” rests on the tremendous support he has among the urban and rural poor. However, the military is the only reliable organized institution he can count on to move things. The press is hostile to him. So is the Church hierarchy. The bureaucracy is slow and riddled with corruption. Political parties are discredited, with Chavez himself leading the attack against them and preferring to keep his supporters organized as a loose mass movement. Given the centrality of the military as a reforming institution, Chavez has created an army of urban military auxiliaries or reservists to support the regular armed forces. Originally known as “Bolivarian Circles,” this reserve force, which is projected to eventually number one million, is becoming instrumental in the organization and delivery of social programs in the shantytowns. These auxiliaries also now participate, alongside the National Guard, in the expropriation of private land for the accelerated agrarian reform program. With its central role in the Bolivarian Revolution, many observers are asking the question: is the military up to it? The sentiments expressed by Chavez in the preceding paragraph would probably resonate with many junior officers in the Philippine military. Which brings us to the question: What are the lessons of the Venezuelan experience for the Philippines? More specifically, are there possibilities for a similar left-leaning socially progressive military to emerge in this country? If the Venezuelan experience is any guide, the odds are against it. First of all, unlike the Venezuelan military, the Philippine military does not have a revolutionary nationalist heritage. It is not a direct descendant of the Katipuneros and the Army of the Philippine Revolution. It was formed by the US, initially to act an auxiliary force to support US occupation troops, then to maintain public order during the colonial period, and finally to back up US forces fighting the Japanese during the Second World War. Since the granting of independence in 1946, the Philippine Armed Forces have maintained very close links to the US military via aid and training programs. Second, the Philippine military has not had the equivalent of an Andres Bello program, where officers were systematically immersed in the civilian educational system and consistently exposed not only to the latest technical and managerial concepts but also to progressive ideas and movements. Third, in Venezuela, officers had an ambivalent relationship with the political left, on the one hand, fighting them as guerrillas, on the other hand, absorbing their ideas and proposals for change. In the Philippines, in contrast, the military sees the New People’s Army, with which it has been struggling for nearly 30 years, as its enemy unto death, both institutionally and ideologically. 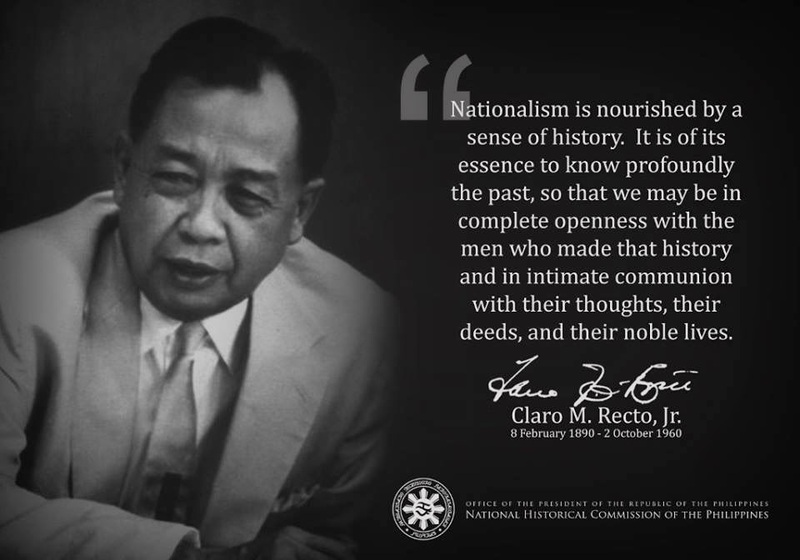 Not surprisingly, while groups like the Reform the Armed Forces Movement (RAM) or the Magdalo have periodically emerged, their programs have had little social and national content, their agenda being merely to seize power and put the military in command of society in order to purge civilian politics of corruption. Class analysis, imperialism, land reform -- these are concepts that most officers see as belonging to the paradigm of a rival military force. Finally, if there is a military that is so thoroughly permeated by the dominant social relationships of civilian society, it is the Philippine military. From top to bottom, the military is enmeshed in patron-client relationships with local and national elites. Competing civilian elites have cultivated and manipulated their factions within the military. Even military reform groups have often ended up in unhealthy relationships of dependency with traditional politicians and economic elites. The godfather relationship between the traditional politician Juan Ponce Enrile and the military rebel Gringo Honasan, for instance, was probably the key factor that stood in the way of RAM becoming a truly autonomous and progressive force. But history is anything if not open. The Philippine military may still be capable of yielding surprises. After all, an observer of the Venezuelan military circa the late eighties would probably have wagered that with its cadre of corrupt senior officers tied to the US military, that institution would remain a faithful instrument of the status quo in the coming years. Walden Bello is professor of sociology at the University of the Philippines in Diliman, Quezon City, and executive director of the research and advocacy institute Focus on the Global South based in Bangkok. He recently visited Venezuela.